Get one of your most cherished memories, a picture from your first date, or a nice art work, all printed on canvas. There's nothing like seeing someone's face when they open up a beautifully printed quality canvas of their photo. The great thing about gifting a photo on canvas is how versatile it is for any occasion. Engagements, baby showers, first birthdays, holidays, the list is as never-ending as your memories. 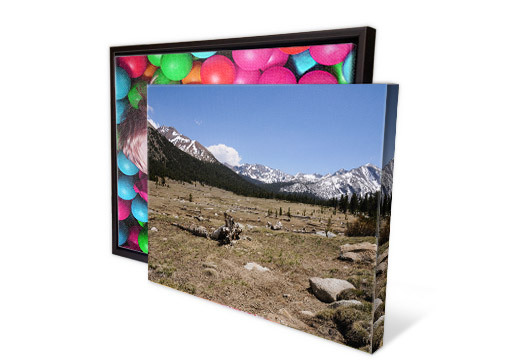 So be the most envied photo-gifter in the room, and give the gift of canvas! Why picture gifts? There's no better way to say "I love you" than gifting a memory captured in time. Canvas photos are the perfect photo gift for any occasion, from holidays, birthdays, to weddings and more!